Boat Description From panfish to big mouth, the versatile easy-fishing, easy-on-the-budget Lowe Fishfinder 165 is one of the best ways to introduce the family to the lifelong thrill of angling. With its 71-inch beam and wide-open deck plans, the Fishfinder allows a family to fish in comfort all day long. And, with a smooth running 6-degree V bottom plus a durable 5052 H-34 marine grade aluminum hull and TufDeck aluminum floorliner, owners will still be fishing long after the kids grow up. 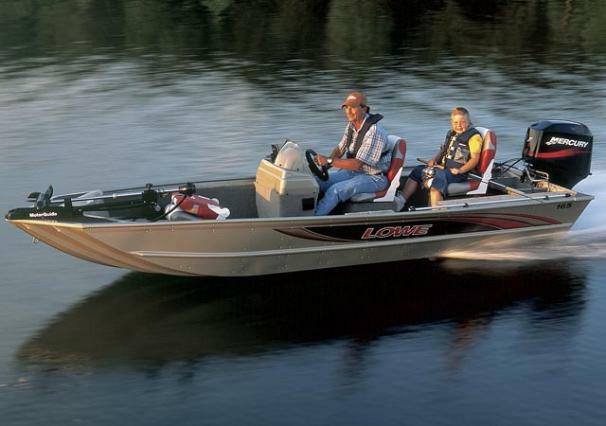 Fishing features include aerated livewells, lockable rod storage, ample tackle and gear storage, and comfortable swivel fishing seats. With easy-to-clean marine carpet that resists mildew and sun damage, this boat will be around a long time.